The Samsung Galaxy R is now official. The handset has already appeared on these pages a number of times and comes equipped with a Tegra 2 CPU running at 1GHz, a 4.2″ WVGA screen, WiFi, GPS, a 5 megapixel camera at the rear, 1.3 megapixel up front and Android 2.3. Other specs include Bluetooth 3.0, the Samsung “Hubs”, 3.5mm audio port and the usual sensors. 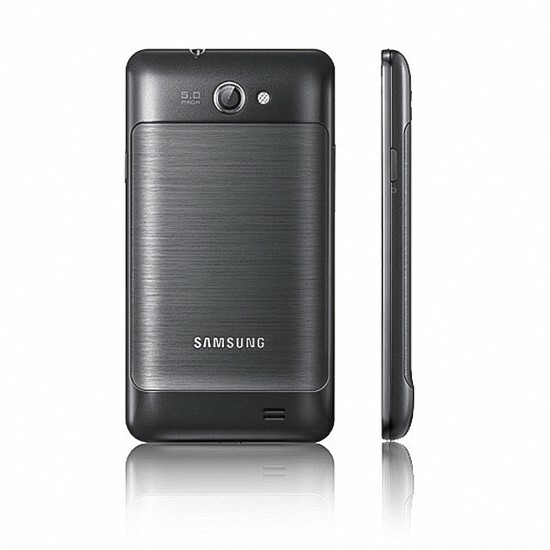 Imagine an ever-so-slightly-slimmed-down version of the Galaxy SII. There’s still nothing concrete about a UK launch although “North and Eastern Europe” is mentioned in the press release we received below. There’s a hands-on video courtesy of the NVIDIA blog..
Santa Clara, Calif. ­- Aug. 10, 2011-NVIDIA and Samsung Electronics announced the latest GALAXY smartphone, the GALAXY R, which sports a 4.19-inch screen, features the NVIDIA® Tegra™ 2 mobile super chip and the Android 2.3 (also known as Gingerbread) operating system.